Looking back over the rather hectic first few months of 2018 in the PC industry, it’s clear that a lot has changed since the last CPU benchmark session late last year. In the space of 6 months, we’ve seen security concerns and the resulting software patches swing windows performance back and forth as they’ve arrived with us thick and fast. I’ve largely been trying to wait it out and see how the dust settles in the interim, but with the release of new hardware, it’s time to get back into it. My last bench was based on a build of windows frozen in late 2016 and associated drivers have gone through a number of revisions during the time since, so with the launch of Ryzen 2 it’s very much the time for an all-new software bench to be set up. Cubase has moved from 8.0 to 9.5 and Reaper too has advanced a number of builds to 5.79 at the point of testing being initiated. This time around we also see the introduction of the newer SGA build of the DSP test, replacing the older DAWBench DSP test and the latest build of the DAWBench Vi test too. Before getting underway please note that the new results are in no way comparable to the older charts, other than looking at the rough performance curve differences between certain chips which do appear to be in line with prior results. They are certainly not directly value comparable with all the bench changes that have taken place and it’s always key to keep the playing field as level as possible when doing these comparisons. This time around I’ve tried to run each chip at its turbo frequency across all cores once again. Modern chips will tend to be rated with both a stock clock and a turbo clock, although what isn’t always clear is that the max turbo rating is often only over 1 or 2 cores by default. Historically it’s been relatively easy to run most CPUs with those cores being pushed and locked off at the turbo max. However, in the event of a platform being pushed too hard, then this isn’t always viable. For instance, I saw this in testing some of the higher end i9’s, where I would choose to all core at 4.1GHz, rather than leave it at stock and let it 2 core to 4.2GHz with a far lower average leaving me open to possible audio interruptions due to clocking. It’s also the case here with the 2700X where the overclock would hang the machine if trying to push everything to the 4.2GHz rated turbo speed. Instead, I tried to clock it up both manually and using the AMD tool, both of which topped out around 4.1GHz. After speaking to my gaming team and realising this is fairly common (a number of other reviews have picked up on it as well) I ended up using the utility to set everything up with the slightly lower all core turbo at 4.1GHz and testing there. So first up is the newest variation of the classic DAWBench DSP test, now making use of the SGA1566 plugin from Shattered Glass Audio to apply CPU load until the project starts to crackle and break up. The 2700X here slots in behind the 8700K which leads by just short of 20% extra overhead at the tightest buffer setting, and both chips look to scale upwards in a similar pattern as you increase the buffer setting. The 8700K seems to be the most suitable comparison here as the price point (at time of writing in the UK) is around £30 more or about 10% more than the cost of the 2700X at launch. The story of the performance curve scaling looks to repeat when we come to examine the 2600X and by comparison the 8600K from Intel. However, this time around the results are reversed with the Intel chip lagging behind the AMD model by about 5% across the buffer settings whilst the AMD costs around £25 less which makes it roughly 12% cheaper at launch. So a strong showing for the DSP test, where we’re mostly throwing a load of small VST plugs at the CPU. The other test we run here is the DAWBench Vi test, based on stacking up Kontakt instances which allows us to test the memory response through sample loading along the CPU as we see with the DSP test. With the Gen1 Ryzens, we saw them perform worse here overall, we suspect down to the memory response and performance. AMD saw similar performance issues across various segments with certain core software ranging from gaming to video processing and the was a lot of noise and multiple attempts to improve this over the life cycle of the chip. One suggestion we saw pay off to some extent in other segments (once again, video and gaming made notable gains) was to move over to using faster memory speeds. We didn’t see any improvement here for audio applications, although in this instance all testing (both Intel and AMD) has been carried out with 3200MHz RAM, in the interest of trying to maximize the performance where we can as well as keeping things level in that regard. The headline figure this time around suggests a rough 10% improvement to the IPC (instruction per clock) scores, which of course is promising, although notably, this is where AMD was lagging behind Intel even after bringing Ryzen to the market. In the interim we’ve seen the Coffee Lake launch, which also improved Intel’s IPC scores meaning that whilst AMD has been catching up rapidly of late, Intel does seem to remain intent on clawing back the lead on each successive launch. So looking it over this time, both the 2700X and 2600X look to fall behind their Intel comparable chips. The 2600X is roughly 20% lower than the 8600K this time although it’s moving up to the 2700X that proves more interesting, if only because it helps to outline what’s occurred between the two generation releases. The older 1800X stood up well against the old 7700K edition at its launch, and indeed that extra 10% IPC boost we see this time may well have given it a solid lead over the Intel, if not for the Coffee Lake release in the interim in the shape of 8700K which pulls off a convincing lead at this price point currently. Indeed, not only does the 8700K show gains over the previous 7700K chip, but it also overtakes the more expensive although admittedly older, entry-level 6 core 7800X on the Intel’s own enthusiast platform. The 2700X is comparable to the 7800X at a far keener price point, although as noted the 7800X more or at least exists as a bit of an oddity by this point, even within it’s own range, so whilst this might have been a more impressive comparison 12 months ago, now it feels like they may have landed it just a few months too late to make serious waves. Speaking from an audio point of view, the chips are good, but not exactly groundbreaking. If you also work in another segment where the AMD’s are known to have strengths, then the good news here is that they offer reasonable bang per buck for audio and hold their ground well as far as giving you performance at those price points. But once again, they don’t appear to be breaking any performance to cost records overall at least for the audio market. They’ve got solid gains, but then again so has Intel last time around and this is often how it goes with CPU’s when we have the firms battling it out for market share. Not that this is a bad thing, certainly it benefits the end user, whichever your choice of platform. As a closing note, I saw in my early generation 1 testing a number of interfaces fail to enumerate on the AMD boards. I reported this to a few manufacturers and interestingly the device that first showed up problems on the X370 boards the first time around (in this instance a UAD Twin USB), is behaving superbly on the X470 platform. Whilst this is a sample size of approximately “1” unit in a range, it does point towards a reconsidering of the USB subsystem this time around, which can only be a positive. Anyone who was perhaps considering this the Ryzen 1 platform, but found themselves out of luck with interface compatibility, might well fare far better this time around. Obviously, if the were problems known before then please do check with the manufacturers your considering for the latest compatibility notes in each instance. 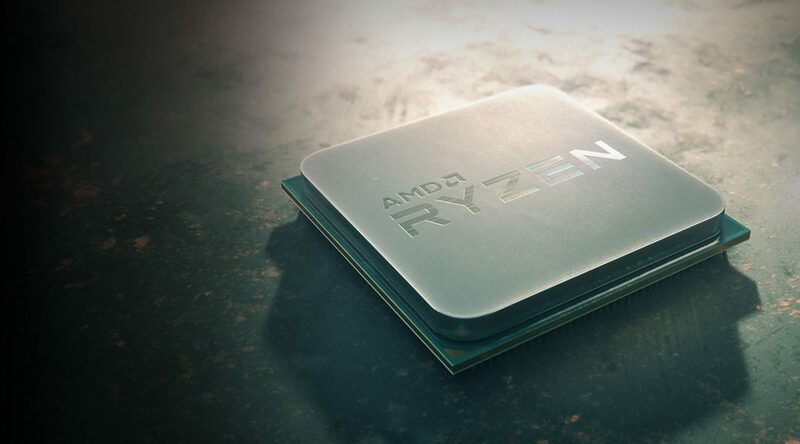 Looking forward there is a rumoured 2800X flagship Ryzen which is already well discussed but as yet no release date on the horizon. The has been already been discussion, rumours and even some testing and validation leaks out in the wild that suggest that Intel might be sitting on an 8 core Coffee Lake. It would certainly make sense for them to be keeping such a chip in the wings waiting on them seeing the public reaction to these new AMD chips. Similarly, it might turn out that the 2800X will be held back as an answer for those rumoured Intel models should they suddenly appear on the market in the near future. To wrap it up, essentially we’re in peak rumour season and I’ve no doubt we’ll continue to see a pattern of one-upmanship for the foreseeable future which continues to be a very positive thing indeed. If you need to buy a system today, then the charts should help guide you, although if you’re not in rush right now, I’m sure the will be some interesting hardware to also consider coming over the year ahead. Intel Broadwell-E - The New Audio System CPU Of Choice? Intel i7 8750H - The power to move you?